America has millions of jobs openings but not as many applicants with the right skills. It's a big problem in the US job market. Many believe the solution to the problem lies in effective job training programs. "Workforce development and vocational training -- very important words," Trump said on March 17. But his newly released budget doesn't reflect that. 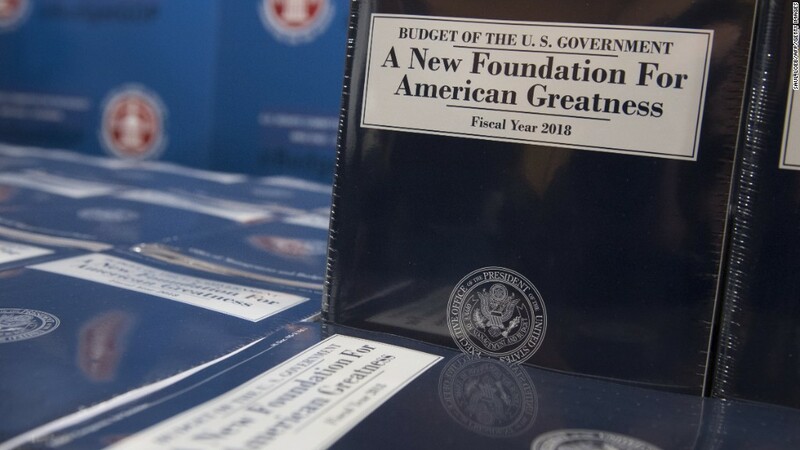 It would cut funding for many job training programs by 40% to $1.6 billion from $2.7 billion currently, according to an analysis by the Center for Budget and Policy Priorities, a left-leaning think tank. The cuts "would absolutely devastate the innovation and new models of jobs training," says David Socolow, director at the Center for Law and Social Policy, also a think tank. Although there's bipartisan support for the idea of job training programs, the rub is how best to design them. Some federally funded job training programs haven't been a success, but recent ones have made strides and received praise across the spectrum. The US Labor Department's own 2012 study found that one of its training programs for workers who lost their jobs to trade wasn't successful at placing them in good paying jobs or ones the workers wanted. Another 1997 Labor study, cited in Trump's budget, had dim conclusions too. Some economists say the administration should only focus on apprenticeship programs in the workplace and not classroom-based job training programs. Trump's budget proposal does call for $90 million for some apprenticeship programs -- the same amount President Obama appropriated for such training in 2016. "Apprenticeships have a far better outcome than job training programs," says Diana Furchtgott-Roth, a senior fellow at the Manhattan Institute and former Labor Department economist under President George W. Bush. Federal job training programs "have a very poor track record." It delegates grants to states, which then give funds to local boards and job training programs. The idea is to customize the job training process to the demands of local employers. One size -- or training program -- doesn't fit all. This program supports branches of WorkAdvance, a job training program that's been adopted in New York City, Cleveland and Tulsa, Oklahoma. Started in 2011, WorkAdvance collaborates with local employers to find out what job skills are most in need, then places job seekers in positions best suited for them. They earn a wage while they learn. Federal Reserve Chair Janet Yellen touted WorkAdvance as a success in a speech in March. "It focused on jobs that have clear paths for advancement," Yellen said. There are others too. I-Best is a dual education and job training program. Started in Washington state and lauded by Harvard for its design, its graduates earn nearly $2,700 more per year compared to adults who don't go through skills training. The Arkansas Career Pathways Initiative is another successful program. About 84% of those who finished the program last year got jobs. Yellen, the nation's most powerful economist, made the case for more such job training programs in her speech. "Significant job market changes in recent years...make workforce development more important than ever before," Yellen said. However, Trump's budget proposes 40% cuts to job training programs that have shown recent progress. The White House's Office of Management and Budget and Labor Department didn't respond to a request for comment.